When it comes to fishing I’m not the most patient angler. In fact, I generally get bored quicker than a five-year old if the fish aren’t biting. This is why I don’t normally go springer fishing. Springers tend to be tougher to come by then fall salmon. Meanwhile, on Thursday Oregon’s Upper Rogue River springers kept me entertained. Due to the extreme heat guide Steven Theel of S.O. Chrome Guide Service asked me to be outside the hotel for pickup in Medford at 4am. I don’t normally go to bed until 1, but temperatures were expected to soar past 113 degrees. We needed to be on the water early to film Pautzke Outdoors. Reports from the Rogue had been mixed. Some guides were scratching out a fish or two, per day. Theel, and a few others, had experienced more success, notching four on a good day. I called in two of our pros to go with us. Mick Thomas of Lunker Fish Trips in Crescent City, California, drove over the hill and Troy Whitaker of Troy’s Guide Service in Grants Pass, Oregon, also hopped in the drift boat. We launched just downstream of the bridge and hatchery and witnessed fish breaching immediately. This was springer fishing. I figured I had an hour to get the cameras and microphones set up before getting bit. On the other hand, Thomas hooked and landed our first springer within 30 seconds. It was a wild springer that we released right away and a sign I wouldn’t be napping anytime soon. If springer fishing was this good all the time I’d be a regular. We did roughly an eight-mile drift from near the hatchery down to Shady Cove. Theel orchestrated a clinic, putting us on fish in almost every major hole. Thomas and Whitaker ended the day six for eight, not including a ton of trout that pecked away at our eggs. Of the six fish, five were wild. Theel wasn’t surprised by this. 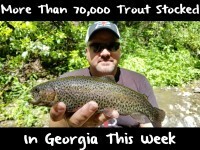 Most of the hatchery fish arrived in May or June. This upper section of water is harboring mostly wild fish right now, some chrome, others bronze and a few darn ones, too. These wild fish must be released, which didn’t bother us. We were happy to release them. Theel will be targeting these springers a few more weeks before moving downstream. Even though we were filming Pautzke Outdoors, Theel was open to fish whatever he thought would put the most springers in the boat. Still, we didn’t run a plug. Our arsenal consisted of one tray of cured eggs, and pieces that rivaled the golf ball size chunks I hadn’t used since Alaska. We back bounced exclusively and caught all our fish in the mouth while being surrounded by bank guys that snagged a few fish around us (and kept them). Theel goes to great lengths to ensure a perfect egg. I could tell by the color of the eggs he wasn’t using just one color of FireCure, which he confirmed. To attain the perfect shade for the Upper Rogue he takes a bottle of Red and Pink FireCure and empties them into a Ziploc. He also adds a half bottle of Fire Power (krill powder). He’ll shake and mix the cures in the bag and then pour them back into the shaker. This combines the agents of the red and pink cure and yields an awesome looking egg. According to Theel, Rogue salmon are heavily krill eaters and the Fire Power is a vital component of the cure. He also adds a can of tuna to the eggs to bring more scent. Give this cure a try. It yielded unprecedented success for us. Some of the data I’ve seen shows the Rogue’s springer run poorer than average this spring and summer, but you wouldn’t have known that in the presence of Theel’s oars. By the end of the day I thought it was fall. The bite was that good and I was happy not to take the nap. Editor’s Note: Steven Theel operates S.O. 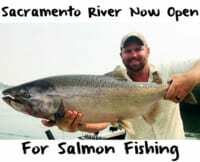 Chrome Guide Service on the Upper Rogue River roughly 30 minutes from Medford. 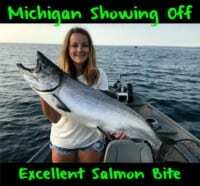 For info on his guided drift boat salmon trips please visit www.so-chrome.com.